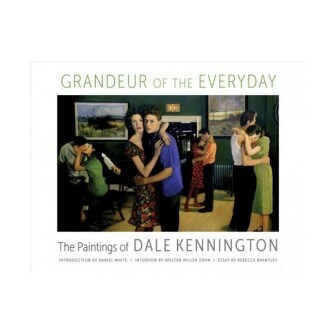 In Grandeur of the Everyday, contemporary realist Dale Kennington captures transformative moments within seemingly mundane scenes, giving her audience access to the overlooked intimacies of daily living. The book covers the major works of her career and features an introduction to the artist by Daniel White, a lively interview by Kristen Miller Zohn detailing Kennington's idiosyncratic process, and an engaging essay by Rebecca Brantley discussing this American master's background, her greatest motifs, and inspirations, such as Parisian café culture and modern architecture. Kennington paints human subjects with an objective yet sympathetic eye, aiming for the accuracy of photography while simultaneously inserting her own subjectivity. Many of her works, especially those depicting one or two human subjects or an unoccupied space, recall the atmospherically lit scenes of Edward Hopper. Indeed, like Hopper, Kennington presents the mysteries of the quotidian without falling into banality, and her success relies as much on her love of local and global communities as it does on her technical prowess. One of Kennington's best paintings, Passing Ships, presents a vision of the ideal café, one where everyone shares the same physical space despite the fact that each person is on a different path in life. The painting presents a life-affirming frame around the stories that each of these café people represent. The emotion in their faces and their postures suggests the possibility of rich inner lives. Kennington conveys a lightness in tone as she accurately paints rays of sunlight over the tops of a table, a beam, a chair. However, the artist lets the viewer decide what each café person represents; it is such fruitful ambiguity that helps Kennington persuade her viewers to finish the painting, so to speak, for her. Admirers of Passing Ships will also find similarities of theme and tone in A Little Time and Space, which considers the pleasure of privately reading while sharing space in public with a stranger. Kennington's passion for painting public scenes reaches its zenith with Friends and Neighbors, a photorealistic piece showing the Ku Klux Klan in full uniform during the daytime. The artist's use of light is telling; the effect being that many of these terrifying racists are otherwise so-called normal people, perhaps the neighbors we greet at church on Sunday morning or the teenager who walks our dog to earn cash for the weekend. By showing with honesty the racism present in her time, Kennington directs us to consider the destructive impact that racism has had on our current version of America, forcing even the most casual viewer to feel a flurry of emotions including anger, grief, outrage, or sorrow. In her later period, Kennington began painting with oil on large wooden panels, juxtaposing quiet architectural scenes on the verso with busy, human-filled pictures on the recto. For example, in Ritual for the Dead, the viewer experiences the foreboding silence of an empty, snowy graveyard on the verso before they are lost in the crowd of well-dressed funeral attendees on the recto. Beware of the Dog continues this ironic approach as it presents a lone black dog who seems to be immersed in the art on the wall of an upper-tier museum; meanwhile, on the other side of the frame, a large crowd mingles at the museum's entrance. The whole piece acts as a critique on art culture, suggesting with a wink that an innocent dog knows more about art than the beautiful people do. In Grandeur of the Everyday, Kennington's major works speak for themselves. Her knowledge of place--the Deep South, as well as Europe, particularly France--informs her every creation. She produces accessible and refined art, juxtaposing interior and exterior spaces to produce myriad tones and undertones. Many of her paintings are based off of her own photographs, and any serious fan of realism ought to find something to admire in them. Her attention to anatomy is astonishing, too, as exemplified in the few nudes included in the book, not to mention the imaginative portraits scattered throughout the volume. Likewise, no detail is spared when she paints objects such as lamps, posters, tables, chairs, towels, vehicles, and so on. The state of Alabama is lucky to have Kennington as a model artist--and, with this book, her legacy is confirmed. Jason Gordy Walker's poems and stories have been published in Measure, Confrontation, Monkeybicycle, Poetry South, Hawaii Pacific Review, Broad River Review, Town Creek Poetry, and others. 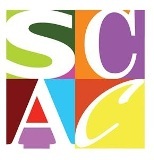 Recently, he received scholarships from the West Chester Poetry Conference and Poetry by the Sea: A Global Conference.